With the recent introduction of the mobile game Pokémon GO there has been a renewed interest in Pokémon by the general public. While Pokémon has always been popular, it had mostly fallen out of the public consciousness since Pokémania first took the country by storm in the early 2000s. With this recent resurgence in interest, many people are pulling out their old collections of Pokémon cards from closets, garages, and attics in the hopes that they are sitting on cardboard gold (and can be turned into real gold). There have been a number of articles in recent months about the value of Pokémon cards on eBay. A video is currently making the rounds on social media sites such as Facebook, claiming that Pokémon cards are worth a lot of money on eBay. These articles and videos are wildly inaccurate and as a whole are simply spreading false information. As an auction site, anyone can list whatever they’d like for sale on eBay, at any price they like. The authors of these articles browse eBay and see listings for Pokémon cards at exorbitant prices and equate this as their value. The one truth about eBay is that a listing price does not equate to a value. Again, anyone can list anything for any price they wish. Also, eBay, being a small corner of the Internet as a whole, does not come without its share of scammers and con artists. The only thing that matters on eBay are “sold listings”–in other words, auctions that actually resulted in sales. 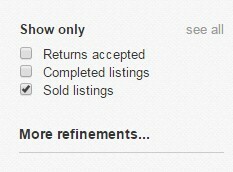 On the left hand side of your eBay window, click the box for “Sold listings” to limit the search to auctions that actually completed, with a sale. Suddenly, the auctions for cards in the thousand or more dollar range now disappear, to be replaced by more accurate values. The other thing to note is that many eBay listings are inaccurate or false, either by intention or ignorance. While researching this article, the author found several listings for “1st edition Charizard” which were very obviously not 1st edition cards based on the seller-provided product photos! Be sure to check out our article on identifying early Pokémon cards to ensure you know what you have and what you may be buying or selling. The aforementioned video making its rounds on social media shows a large number of Pokémon cards and their supposed values. What nearly all of these cards have in common is that they are graded, authenticated, and slabbed by a professional grading company, such as PSA (Professional Sports Authenticator) or BGS (Beckett Grading Service). A collector can send their card(s) to one of these services, along with a not-insubstantial fee. The authentication company, in turn, inspects the card to ensure that it is not counterfeit, provides a condition grade from 1 to 10, and then encases the card in a slab of plastic to ensure that it is not tampered with. Higher grade authenticated cards do command a premium in price. The higher the grade, the more desirable a card becomes for a serious collector. Cards with less than an ‘8’ condition are typically not sent for authentication unless they are exceedingly rare. A 1st edition Charizard that is graded highly could raise its value by a few hundred dollars. A card that is normally worth less than a hundred dollars likely won’t see a significant price increase from being professionally graded. Looking at values of authenticated cards is typically irrelevant to most people though, as the average person who pulls out a childhood collection of cards is not going to go through the cost or effort to send their cards off to be authenticated and graded before selling them. Condition is everything when it comes to selling cards! Collectors do not want cards in poor condition as they make poor display pieces and players do not want cards in poor condition as they potentially stand out as marked cards in a deck. Cards are typically classified in one of several conditions–Near Mint, Slightly Played, Moderately Played, Heavily Played, and Damaged. Most stores will not buy cards that are in a heavily played or worse condition. Anything less than Near Mint will significantly reduce the price a store will pay for a card. For a layperson, one card may not look any different than another card, especially when looking at the upper grades. An expert though, will look for slight nicks on the edges of a card, slight scuffing on the surface, etc. These will all reduce a card’s grade from Near Mint to Slightly Played. Most stores will err on the side of caution and grade cards as Slightly Played. It should also be noted that cards that have just been pulled from a booster pack may not even warrant a Near Mint grade as they can be slightly damaged in the wrapper or in the act of removing them from the wrapper. The below images show a clearly damaged card with major scuffing, edge wear, and even creases! There are a couple of major factors that particularly impact the condition of early Pokémon cards. 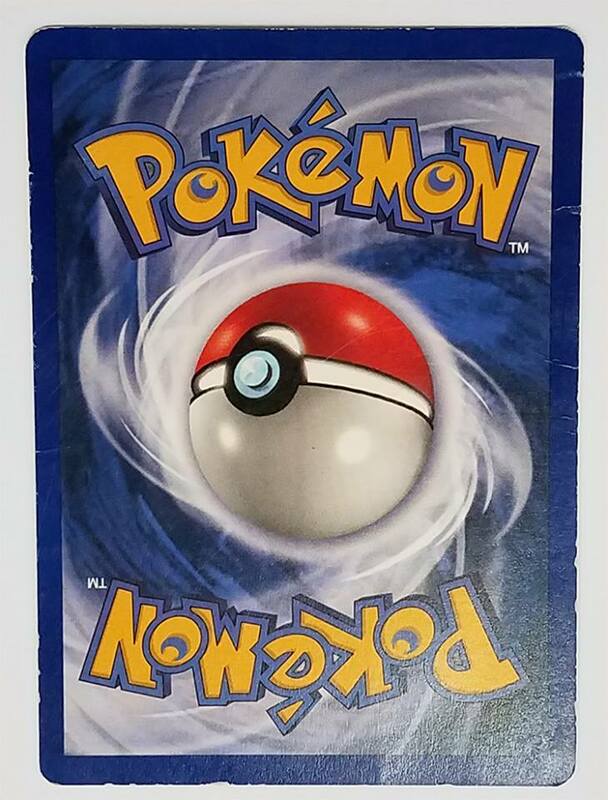 When Pokémon was first introduced, the market for “card supplies” such as deck protector sleeves, deckboxes, and binders was almost non-existent. Many children played games with their cards as was intended. Any amount of play without deck protectors will begin to damage cards. Other cards, even if not played, were frequently carried in pockets or backpacks and taken to school to show and trade with friends. All of these cards are worth virtually nothing today due to their condition. There are millions of copies of some cards that have been played, scuffed, and shuffled, but very few that went from pack to card protector and kept safe in the intervening years. Environmental conditions are another major factor that affect card value. All too often cards are stored long term in households with heavy cigarette smoke or in damp attics, basements, or garages. Any yellowing of the paper due to nicotine, or heavy odors from mildew or smoke will significantly affect value as well. Pokémon is at its core, a collectible card game. Much like Magic: the Gathering, the value of most Pokémon cards is driven by their playability in the game rather than by any particular collector’s value. The Pokémon TCG has several different formats that people play to keep decks on an even footing. The Standard format is one of the most popular formats and is the one most commonly played by aspiring championship level players. The Standard format encompasses the past two years of the card game. At the time of the writing of this article, this means the entire “XY” series of sets. The next most popular format is Expanded, which encompasses the last four years of the card game, thus at the time of the writing of this article the entire “Black and White” series and the “XY” series. Taken together, these sets represent the “modern” era of the card game. Cards that pre-date this era are mostly of interest to casual players and collectors. Cards that are currently in Standard and Expanded will also lose much of their value once they “rotate” out of those formats. In the case of collectors, unless something is exceedingly rare or in Near Mint condition there is little to no interest. 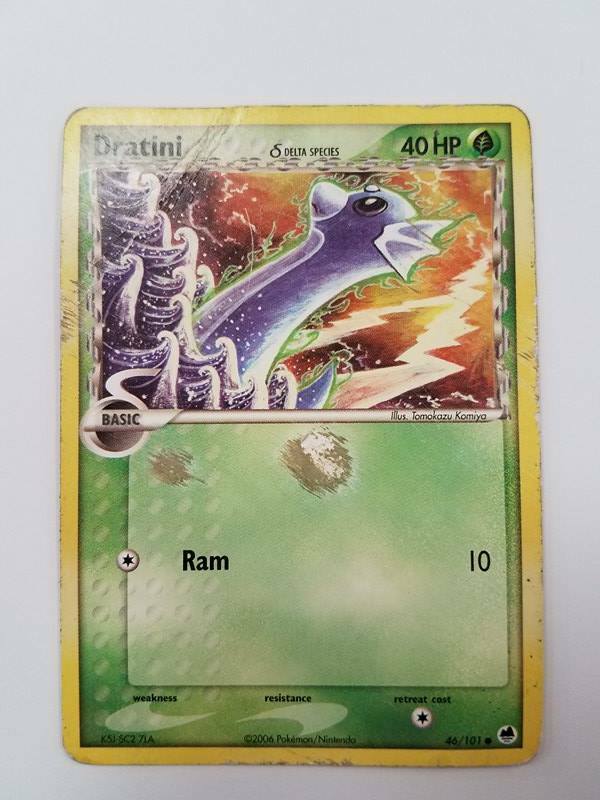 In terms of rarity, unless a card is 1st edition, most early Pokémon cards were printed to meet demand and thus are extremely common and easy to find. The laws of supply and demand very much apply to the collector’s market. Many stores are also sitting on good numbers of Base Set cards in higher conditions. Most, but not all, 1st edition cards are valuable–in some cases significantly. A 1st edition Charizard in Near Mint condition could fetch up to $700. Sadly, most people do not possess 1st edition cards. The entire 1st edition print-run was sold out before the Pokémon craze fully hit the public consciousness. The value of Unlimited versions of early cards drops off significantly from 1st edition. Charizard, Venusaur, and Blastoise from Base Set are pretty much the only cards of any value and top out around $30 for Charizard in Near Mint condition. Despite what you may see on eBay or hear about on a video, Machamp is mostly worthless. Machamp was the most printed Base Set card and its value reflects that. A shadowless Machamp (keep in mind that all Machamps are 1st edition stamped) in near mint condition is worth about $14. An Unlimited edition printing is worth about $2.50. Modern era Pokémon EX, Mega Pokémon EX, secret rares, and tournament staple Trainer cards have some value. Even so, the highest value card in the Standard format is currently Shaymin EX from the Roaring Skies expansion at roughly $40-45. These prices reflect market prices at the time of the writing of this article. Prices fluctuate on a daily basis. In addition, if you are selling your cards to a store, a store will never pay market price for a card. A typical buy price will be 25-50% of the market value, but could be dependent on a number of factors.